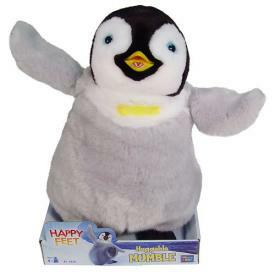 My Family Fun - Happy Feet Huggable Mumble Plush Popular plush Mumble! Huggable Mumble is a soft, cuddly 10" plush version of Mumble, from the movie Happy Feet. Your child will fall in love with this cute character - who is perfect for playtime or bedtime.